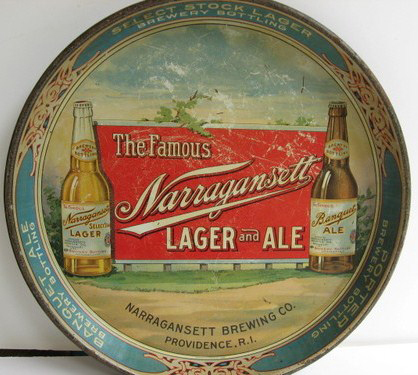 Serving Tray for Narragansett Lager & Ale from The Narragansett Brewing Company out of Providence, R.I. Showing in the center two of the company’s bottles. Around the border are the company’s names of beer choices. Select Stock Lager, Banquet Ale, and Porter Ale.